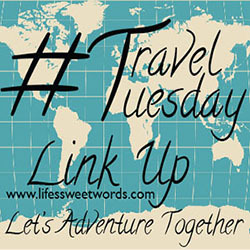 Excited for this month's linkup and to see where you all have been!! Sadly, due to Hurricane Matthew that is not to be! While I am wishing it could have happened, the fact that a missed cruise is the only thing I have to complain about means we got off easy here. Praying Haiti and the Bahamas and for all those dealing with the severe aftermath of the storm! 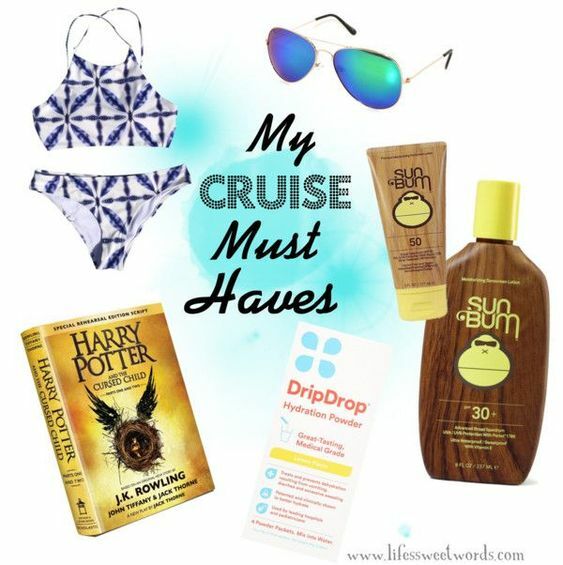 Since I already had this post scheduled and ready to go for while we were gone, I figured I would still share my cruising essentials with you all! ~Sunglasses~ No description necessary, but I may have to stock up on these beauties! They are only $6.99 and I lose sunglasses like it's nobodies business, so having an extra pair (or two) can't hurt!! ~Bathing Suit~ I always make sure I pack a bathing suit in my cruise carry-on! It can sometimes take a while for your luggage to get to your stateroom. The last thing you want is a beautiful sunny day, without the ability to throw on your suit and jump right in on the pool party fun!! How cute is that Cupshe Swim Suit?! Perfect for pool lounging, but also for adventuring and jumping off seaside cliffs without fear of losing your top! ~A Good Book~ I can't go on a cruise without having at least one book with me! Hello sunshine, strawberry-banana daiquiri sipping and reading the day away!! A sweet friend just lent me her copy of Harry Potter and the Cursed Child and I am one happy, happy girl!! ~Good SPF~ My current self is sad to say that my younger self did not believe in proper sunscreen coverage. I would lather on some SPF 4 and call it a day! The war I am now forever waging with my wrinkles wishes that I had been more diligent! Sun Bum Sunscreen is my absolute fave! I love the smell and the way it doesn't sit on my skin feeling icky. Plus it's paraben free! I use SPF 30 for all over coverage and save the SPF 50 for my face, chest and shoulders! And that's about it for my packing essentials! Sure, a cute dress or two doesn't hurt- but one of the freedoms of cruising is that I don't often need much! If I feel like I can get away without makeup or having to blow-dry my hair then even better!! Just give me some sun, a lounge chair and keep a drink in my hand and I am one content little critter! 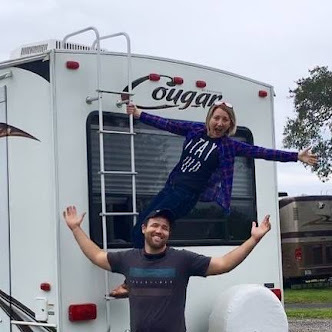 Hoping your travels find you somewhere fun with someone you love! 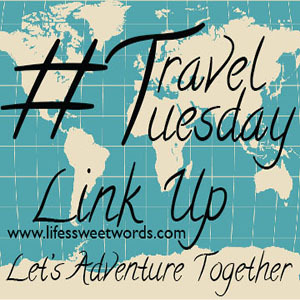 Or traveling solo to explore a little more about the world and yourself! Either way, I am so excited to see where you have been adventuring to lately! ~I will also be sharing my favorite post from the month before. 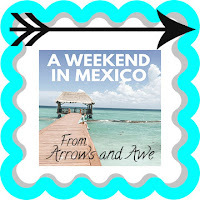 September's fave was from Arrows and Awe, because how stunning is that lunch spot in Mexico? Seriously, go check it out!! Excited to explore the globe with you all! Great tips! I love Sun Bum Sunscreen, and traveling is basically the only time I have time to read for fun. Haha, yes! Give me all the uninterrupted reading I can get! Wish I had more time for moments like that in every day life! Sunscreen and a good book are addplute musts. I also would add a coverup to the list. I do need a good coverup! I am so bad about remembering to bring/ wear one. Ahhh, yay! So excited for you!! Enjoy your first cruise!! Oh no, I'm sorry your travel plans were ruined! Great tips though - hopefully you can go away soon! Thanks so much! My husband and I are cruising at the end of November, so not too long to wait!! Happy Tuesday! I'm so sorry your plans were disrupted! hopefully you will be able to make it up soon! Thanks so much :) We are taking a cruise for my 30th birthday in a little over a month, so thankfully not too long to wait!! And hopefully we will be able to get a credit for the girls cruise too so that it can still happen at some point. Great list for a warm weather cruise and I agree to keep things you will want right away in your carry on. Also excited to find your link up party. Adding a link right now about our adventure day in Oahu. Sorry your trip was cancelled but cruising in November sounds pretty sweet. My kids are finally old enough that I get to travel to the bathroom by myself (sometimes). Hoping next year will bring even more travels...Hawaii, here I come! Thanks! Yes, definitely looking forward to November!! And haha!! Sometimes those bathroom journeys can seen like a day at the spa with a moment of peace and quiet haha!! Kepping my fingers crossed you make it to to Hawaii soon!! Whether I'm traveling to the tropics, city, or desert, sunscreen and sunglasses are my packing must. Totally agree with you! I got a nice golden tan using SPF 30, and no sign of sunburn anywhere. A good book is also my travel-mate :) I adore reading!